Click through the jump to see the winner. The LA Auto show press days have come and gone, free food has been stuffed in Journalist's faces, swag given and taken, and soon the LA convention center will be flooded with regular folks who aren't cheapskates looking for a free lunch and a free ride in exchange for constant positive publicity for every piece of garbage car coming from Detroit, Aichi, Stuttgart, etc. These folks will be willing to shell out relatively large portions of their take-home salaries in exchange for the scent of new car. We are happy and hope they take fantastic care of their new automobiles because we will be emailing them via Craigslist/eBay in 10 years to offer them pennies on the dollar for these cars. A prime of contender for our Appreciation of Depreciation award has to be the Porsche Panamera; stay with us while convince you. The Jaguar F-Type is pretty enough that it may bottom in price at a reasonable level, but for sure the recently announced Jaguar XFRS (not to be confused with Scion FR-S) sedan model will drop to scrap value within a few years after launch and give all manner of cheapskates any opportunity to hoon around in a 550 horsepower, 5-passenger menace. Referring to the Lincoln pics from yesterday, we thought it might be useful to also provide a quick reference of some of the used Lincoln’s that are outside the 2012 LA Auto show on Ebay this week. 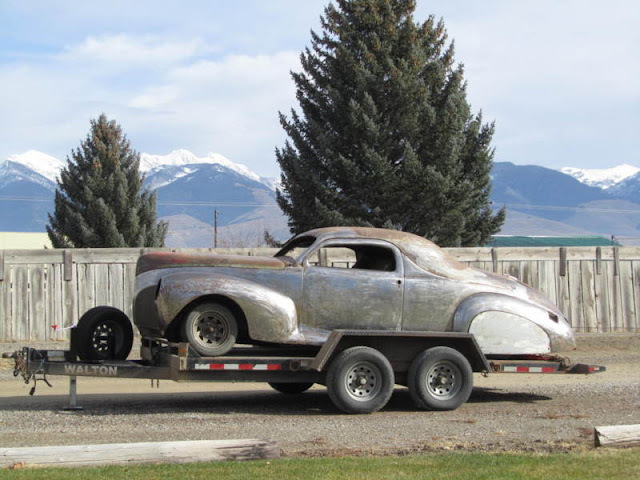 Afterall, there's nothing like leaving a car show and heading straight to Ebay to sate your lust for used Lincolns!! Your time is valuable, so we've done some searching for you and found these. 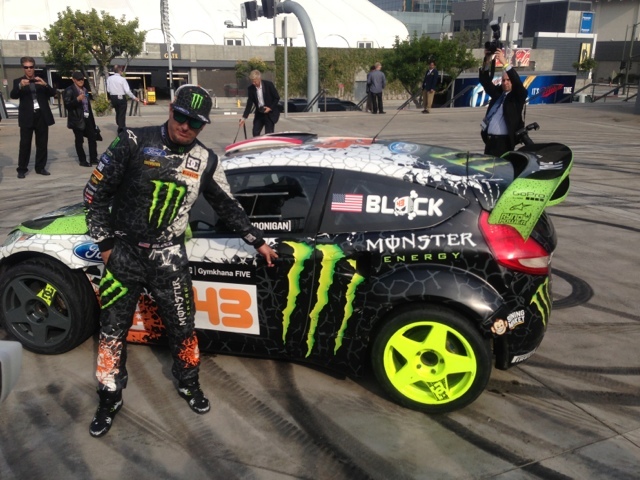 Ford introduces its new 2014 Fiesta powered EcoBoost engines with a display of gymkhana from Ken Block. Unfortunately they left a 10,000 dB video playing during most of the display, but you can still get a feel for the smoke by watching the video link of Ken Block's tire shredding escapade here. 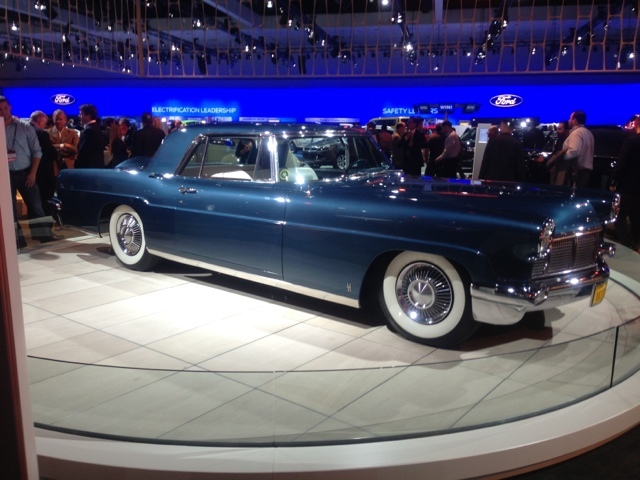 LAAS: Lincoln brings no new cars, only classics. Everyone happy. Lincoln brought no new cars to the LA Auto Show this year to the delight of car lovers everywhere. Quite frankly today's Lincoln's are overpriced rebadged Ford product and we couldn't imagine recommending any of their new product offerings to anyone including out arch enemies. We do however love a nice used Lincoln and the selection on hand includes a 1927 Zephyr coupe, 1956 Continental Mkii, 1937 Derham, 1932 KB LeBaron, 1929 L Dietrich, 1961 Continental Sedan, and a 1940 Continental Cabriolet. Photos below. 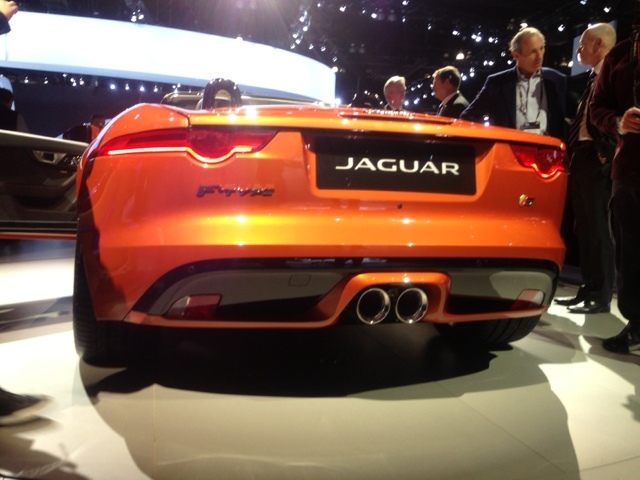 An anonymous commenter asked for pics of the just revealed Jaguar F-Type. The F-Type is Jaguars attempt to rekindle some of the magic of the original E-Type with a stunning roadster. F-Type comes in three flavored, base, S and V8 S. The first two versions are powered by a 3.0 liter V6 putting out 340 and 380 horsepower, with the V8 version putting out 495 hp out of its 5.0 liters. 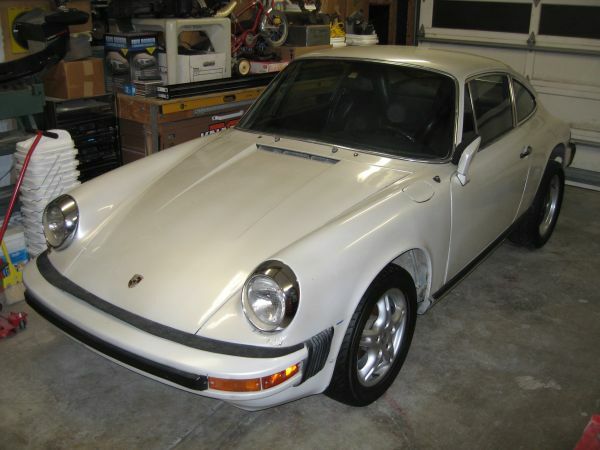 It is a stunning design in person and will set you back 911 money (figure $80k minimum) today. In a few years it should dip in the $25k range, but only time will tell is this cat will drop to really cheap levels. 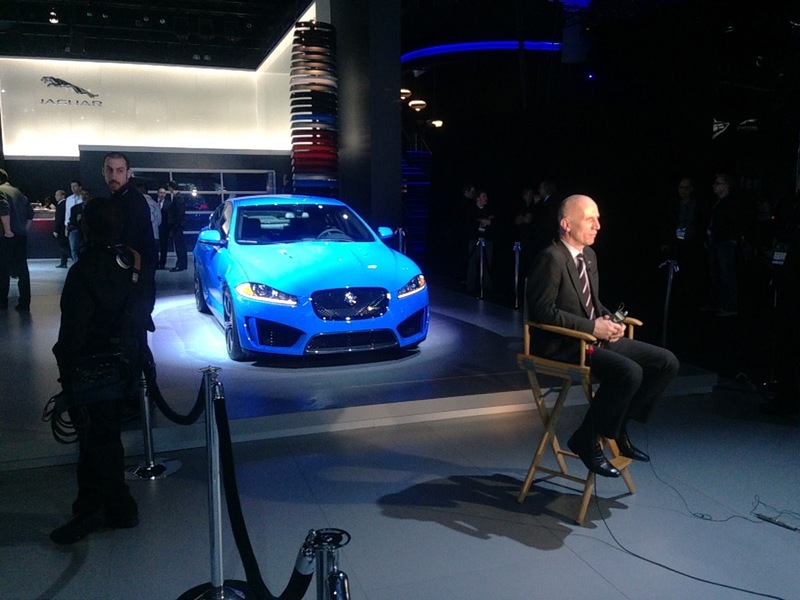 We think a better bet for rock bottom 10 year old prices will be the XF-S sedan, more on that one later. General Motors has done an excellent job with the 'recent' rebranding of its aging Cadillac brand. 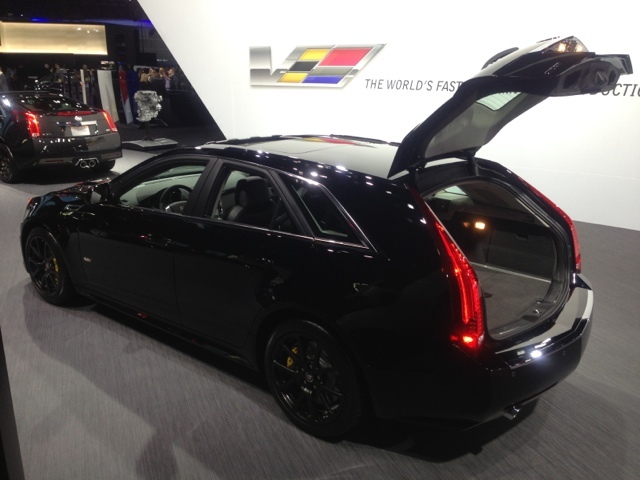 This 2013 CTS-V wagon certainly won't be confused with your fathers Cadillac Brougham and is powered by a supercharged 6.2 liter V8 putting out 556 horsepower. Base price starts at $64k and goes upwards of $75k with options. Expect high teens pricing on the used market in 7-9 years and 100k miles. As we continue to eat free food at the hospitality booths at the LA Auto Show we realized that we could actually be helping our readers. If there is anything at the show that you'd like to see (cars, concepts, Carola (Adam or Toyota) etc) please comment below and we will do our best to help. 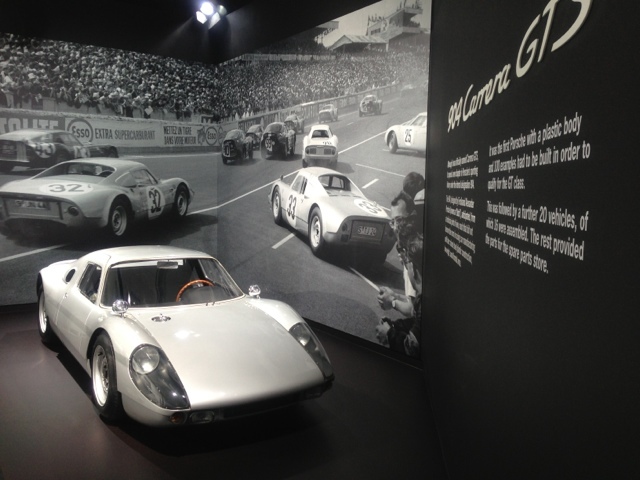 Photo from Porsche display follows. 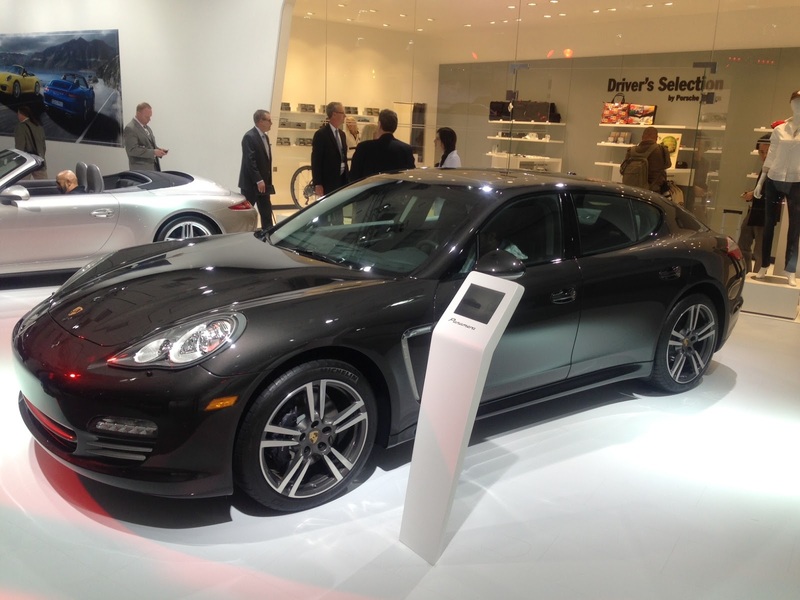 The Daily Turismo is blogging live from the LA convention center today, covering the good stuff from the LA Auto show. We aren't planning on covering all the latest over priced mid sized luxury hybrid SUVs or pie-in-the-Pontiac-Sky concept cars. We are here to bring you an inside view of the cars that you will care about in 10 years when they are used, depreciated and on Craigslist. 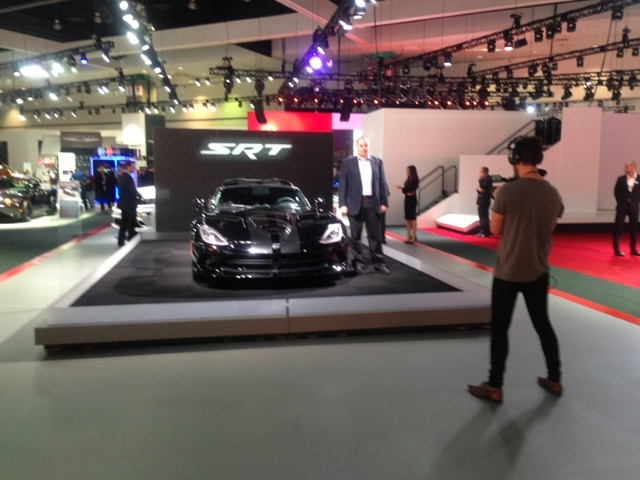 We start today with a shot of the 2013 SRT Viper featuring a 640 horsepower V10 and a $100k price tag. If history is any indication of the future, you should be able to pick one of these up for $30k in 2023. Start saving $8.20 a day now and in 10 years you could buy it outright, drive for a few years and sell for minimal loss. Sounds like a plan? The term Brougham comes from the horse & carriage era, specifically named for Henry Brougham, the 1st Baron Brougham and Vaux (1778-1886) and designated a carriage that had an exposed chauffeur but enclosed passenger compartment. Mr. Brougham was Scottish and as such the name is not pronounced Bro-ham, but BrOOOOM, use your best 'Willie the Groundskeeper' accent please. 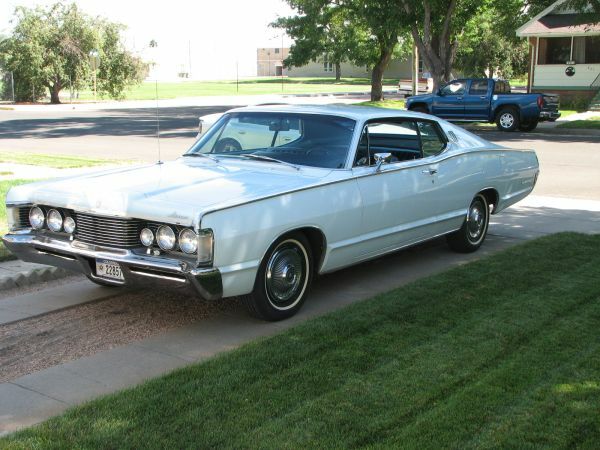 The name was first put on a horseless carriage by Cadillac in 1916 and blossomed to ridiculous by the mid 1970's, with Brougham badges on all manner of Cadillac, Olds, Pontiac, Ford, AMC...etc. 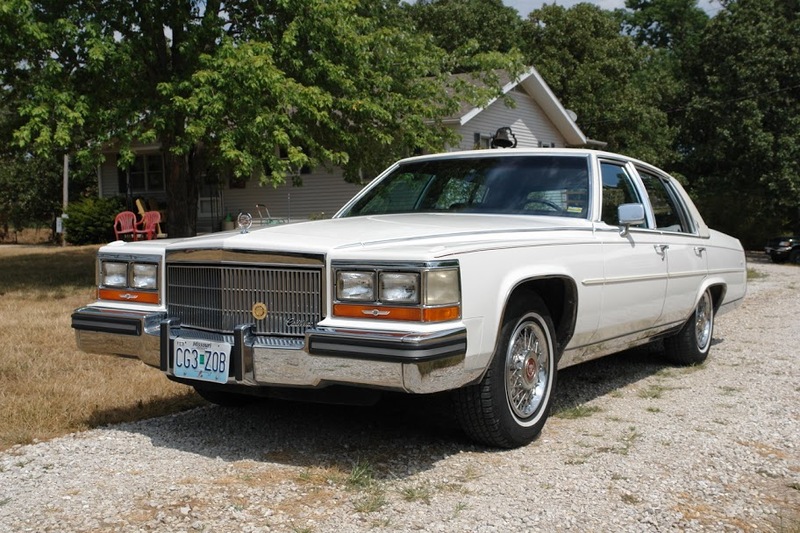 But Cadillac did it first and frankly best - especially with this 1989 Cadillac Brougham, located in Marshfield, MA, offer on craigslist for $4900. Big thanks to tip from reader James C.
The Ford Maverick was the little brother to the Mustang, lighter, cheaper and slower; but somehow in the early 70s, it always seemed a bit cooler, perhaps it was the fact that it wasn't a Mustang II. Whatever the reason, it was always saddled with some second hand inline 6s and never given the full chance to shine, at least until Fox Body Mustang V8s could be found littering scrap yards. 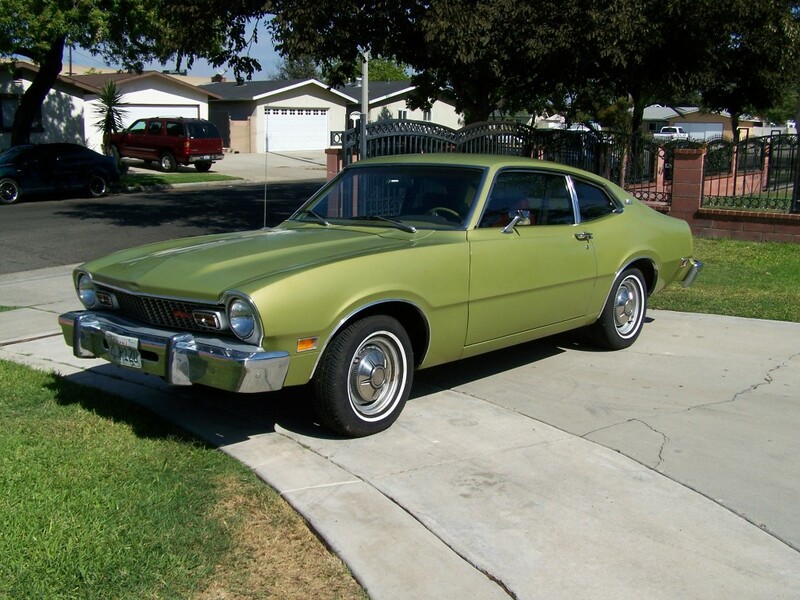 This 1974 Ford Maverick with 5.0 V8 is for sale in Orange County, CA for $6,000 via craigslist. TVR is a foreign name to our American ears, the last imports from Blackpool, England being the Tasmin 280i in 1987. TVR does have a long history on the other side of the Altantic and built all of its cars on a tubular space frame and as of July 2012 has officially ceased its efforts to build and produce automobiles - a shame since its formula of mounting common parts on a bespoke handbuilt body is all but dead. 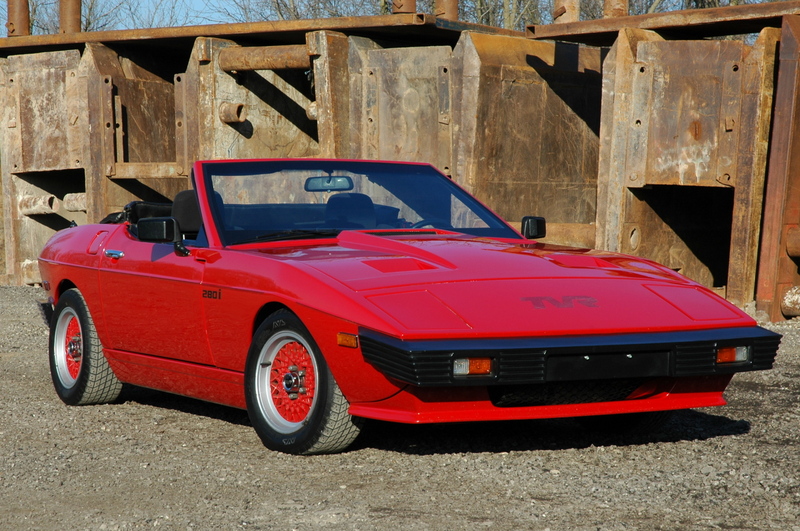 But you can relive the glory days with this 1985 TVR Tasmin 280i, currently for sale on ebay for $8,250 OBO in Sussex, WI. The 914 was meant to slot into Porsche's showrooms under the 911 and also fill the top of VW/Audi's lineup - but Porsche didn't want to risk having the VW nameplate tarnish its image and convinced VW to allow it to sell all 914's through its USA dealer network. The resulting car was slow but great fun to drive due to its mid-engine layout and 2100 lb curb weight. 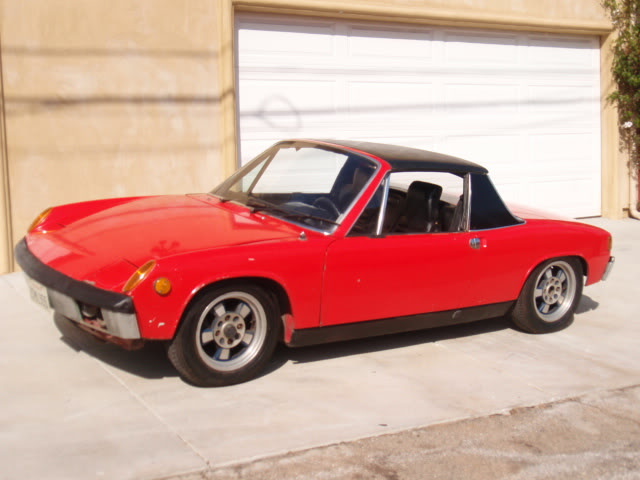 This 1973 Porsche 914 has solved the slow issue with a 500 horsepower Chevy V8 stuffed into the rear and is now for sale on ebay, currently bidding at $1,592 reserve-not-met with 4 days to go. The 10th generation Ford Thunderbird was an abysmal car when introduced in 1989 and was somehow still living in Ford dealers purchased only by people who remembered what a 1st generation T-Bird looked/drove like but were now blind and insensitive to acceleration forces (probably deaf too!). 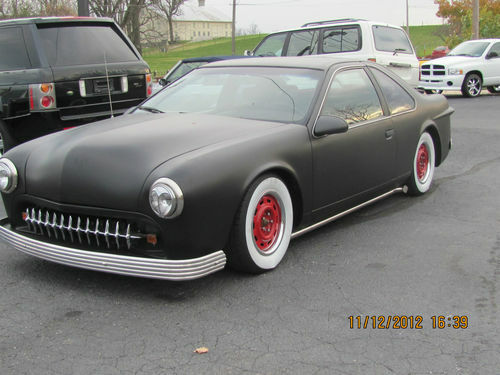 The T-Bird was not an attractive car, and it's hard to imagine someone making it look uglier...but...you can be the judge of this 1991 Ford Thunderbird that has been transformed into a '49 Ford lookalike and is now for sale in Hanover, PA on ebay for $4,500 buy-it-now (currently bidding at $3,225 reserve-not-met with 1 day to go). The SAAB Sonett is an odd car, either a 2-stroke or a V4 powering the front wheels with an Italian inspired design created/executed by a group Swedes. On paper it sounds like a complete disaster, but in the flesh it is still horrible, but in a funky "we could get used to this" kind of way. But the Sonett is still let down by its underpowered, unrefined and unbalanced engines, something that the builder of this Sonett decided to fix. 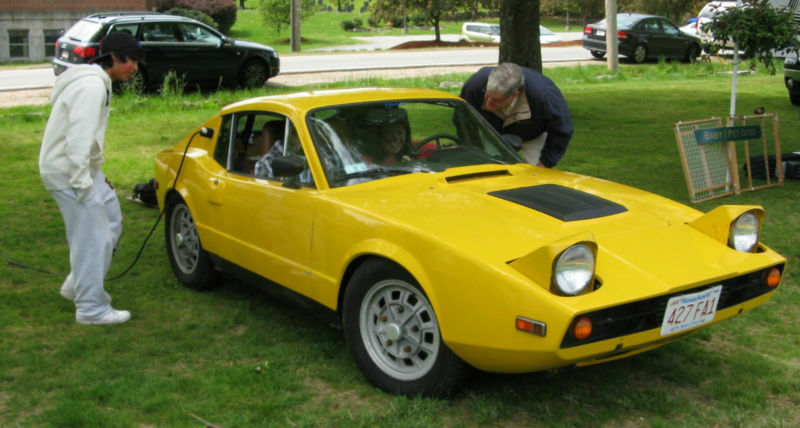 This 1974 SAAB Sonett has be given an eletric powerplant and a trunk full of lead-acid batteries - find it for sale in Sudbury, MA via ebay for $10,500 buy-it-now (currently bidding at $3,650 reserve-not-met with 2 days to go). The Daily Turismo was contacted by the guys at Moneysupermarket.com and asked if we wanted to share some of their most recent data a reliability study (based on UK vehicles) and of course we agreed! We had a lot of fun sharing their previous info graphic on zombie proofing stuff, but this one is a bit more serious. Japanese car brands came out on top in a reliability study carried out by MoneySupermarket.com and Warranty Direct, with Honda finishing just head of Suzuki and Toyota. This has been calculated by looking at the average number of failures and their severity for each model which is produced by car manufacturers; calculating a Reliability Index (RI) score which dictates positions. The average RI score is 100 and the lower the number, the more reliable manufacturers vehicles tend to be. This helps to illuminate how impressive Honda’s score of 30.75 actually is. 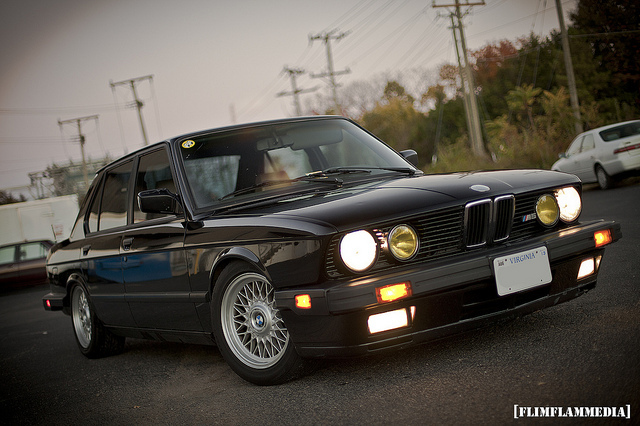 However, Japanese manufacturers didn’t get it all of their own way. Ford vehicles have the cheapest average repair costs and the Kia Picanto was found to be the most reliable individual vehicle, with the South Korean manufacturer finishing an impressive 5th on the overall rankings for manufacturers. 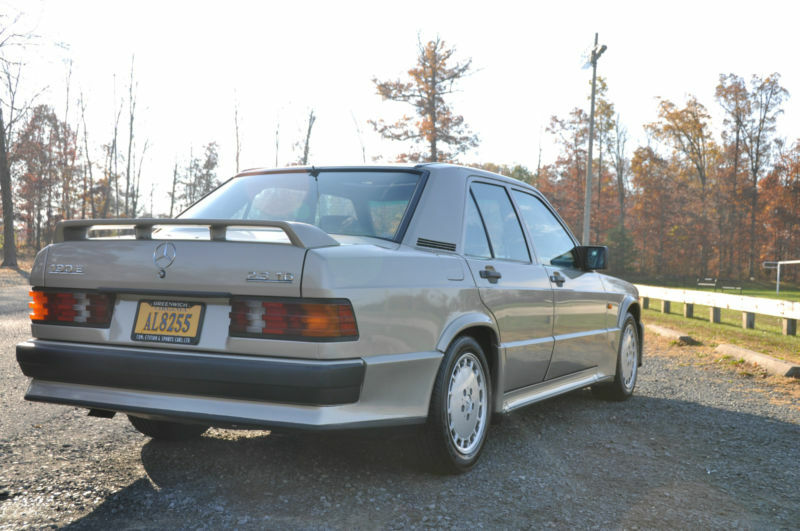 We did a full write-up on the Mercedes-Benz 190 2.3-16V Cosworth earlier this week and the auction ended at a smoking deal of $5,200 -- unfortunately the buyer turned out to be a some kind of ebay spam-bot or someone who wouldn't know a good deal if it slapped him in the face. Regardless, your chance to own a rare Merc is back and the 2.3-16V is up on ebay here, currently bidding at $3,450 no-reserve.